Submissions are now open for our 2018 event! Cue the pomp and circumstance! The Minne Mini Film Festival has rung the proverbial bell and opened our metaphorical doors to welcome a new class of two-minute movies! We are now accepting submissions for our 2018 event on FilmFreeway.com. This year, there is no submission fee for Minnesotan filmmakers, and everyone else only needs to pitch in two bucks. The low submission fee keeps the fest accessible to filmmakers of all backgrounds and enables those filmmakers to use their money on what’s important: the films! So get out there and do something you’ve never done before! Take on a new genre. Use a new technique. Call up that one actor you’ve been wanting to work with. Whatever it is, do it. We dare you to try. Submissions are open until Labor Day (September 3rd). For rules and terms for submission, check out the Submit Your Film page. 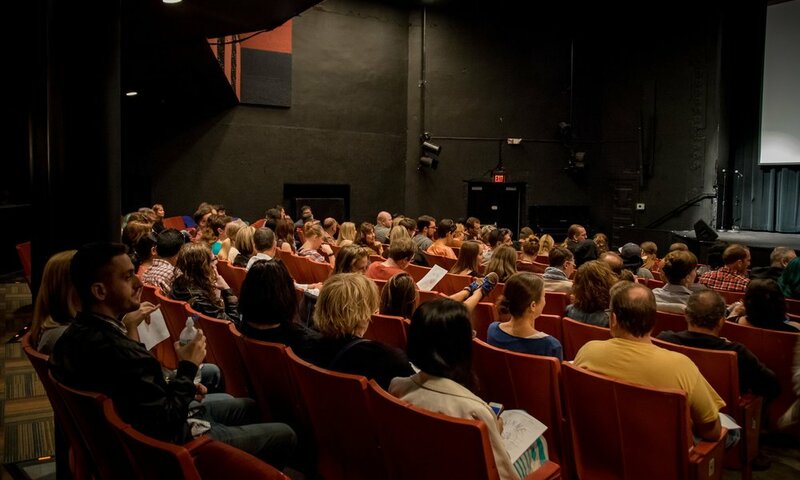 The Minne Mini Film Festival returns this fall! We are most pleased to announce that the Minne Mini Film Festival is returning this fall to the Twin Cities! For two nights in September, the 24th and 27th, a cavalcade of films, all two minutes in length or less, will cascade across the screen in Uptown Minneapolis. Yes, indeed. This year, we’re returning to the home of last year’s event, the magical room that is Bryant-Lake Bowl Theater. After last year’s hasty sell-out show, we’re expanding our engagement to two nights to give everyone an extra chance to see our program. But we won’t have a program without some super-short / super-awesome films to share! Submissions for the 2018 festival open next Monday, June 18th, and go through September 3rd. The Minne Mini is the perfect opportunity for filmmakers to try something new and test it out in front of a living, breathing crowd (we check pulses at the door). We accept films of all varieties: drama, comedy, romance, horror, and even stuff that defies genre entirely! Can anything top the confrontation and reverence of last year’s House? How about the mix of delight, horror, and titillation we experienced witnessing The World’s First Twurkey? Once the floodgates are open, we accept submissions through one platform, FilmFreeway, because it makes the process easy for everyone involved. Look out for another newsletter announcing the opening day of submissions next Monday. The Minne Mini is a special thing. We keep it small so that the screening is intimate and the discussion sincere. We keep our submission fees low so that there’s no barrier for entry. We keep our minds open so that filmmakers can fill them with new, exciting, and weird ideas. We encourage you to take part. See our website for more information.